Bamix is a high quality handheld mixer that has retained the same iconic shape and continuously delivered exceptional technical performance over the decades. Its unequalled speed, silent motor, remarkable impermeability and great versatility are the features that have forged its reputation over the years, far beyond the borders of Switzerland. 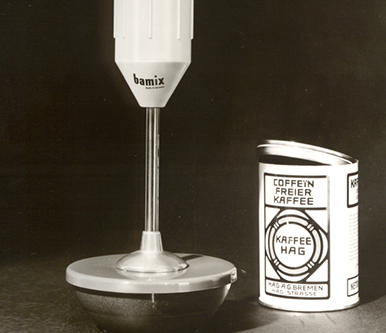 The Bamix company was founded in 1950 by Roger Perrinjaquet, the inventor of the first handheld mixer. 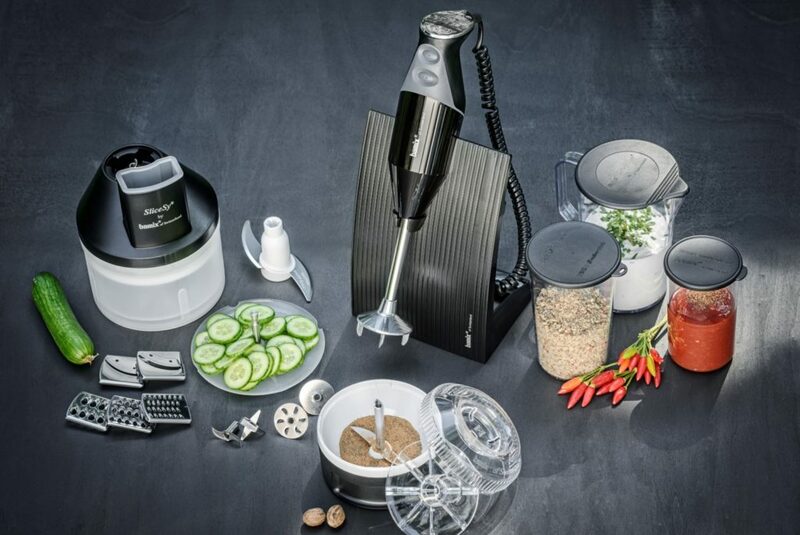 Featuring multiple accessories, Bamix is not just a handheld mixer but also a multi-functional kitchen robot, capable of whisking, chopping, grating, and much more… an everyday assistant that has a place in the kitchens of top chefs and amateur cooks. Every year, around 400,000 Bamix mixers are fully manufactured in Mettlen, Switzerland, where the same passion for excellence has been nurtured for over 60 years. Manual assembly, precise motor control, fitting the handle and the transmission are tasks performed to perfection by Bamix staff, guaranteeing the faultless efficiency and robustness of Bamix products.